Quantitative Chemistry calculations online Help for problem solving in doing percent of mass of elements in a given compound formula calculations. 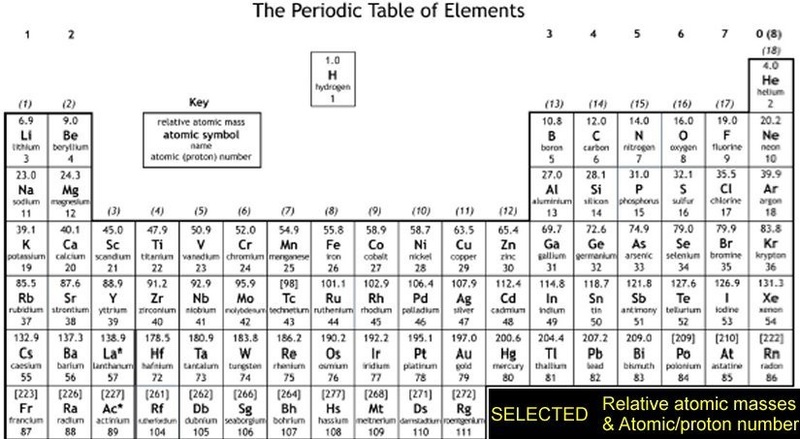 Practice revision questions on % composition of an element in compound, using experiment data, making predictions. This page describes, and explains, with fully worked out examples, how to calculate the composition of a compound in terms of the % by mass of each element in a compound. It doesn't matter what the nature of the compound is i.e. it is irrelevant whether its an ionic compound or a covalent compound. Online practice exam chemistry CALCULATIONS and solved problems for KS4 Science GCSE/IGCSE CHEMISTRY and basic starter chemical calculations for A level AS/A2/IB courses. These revision notes and practice questions on how to do percentage by mass of elements in a compound calculations and worked examples should prove useful for the new AQA, Edexcel and OCR GCSE (9–1) chemistry science courses. Spotted any careless error? EMAIL query ? comment or request a type of GCSE calculation not covered? How do you calculate the percent (%) by mass of an element in a compound formula? How do you calculate the percent (%) by mass of water or an ion in a compound formula? It always seems complicated when stated in this formal way, but the calculations are actually quite easy ..
as long as you can correctly read a formula! Note that similarly, you can calculate the % of the other elements in the compound e.g. Also note that if you haven't made any errors, they should add up to 100%,useful arithmetical ! The next two examples extend the idea of % element composition to include % composition of part of a compound, in these cases water in a hydrated salt and the sulfate ion in a potassium salt. Note: The determination and calculation of the formula of a hydrated salt like MgSO4.7H2O is covered in Calculations section 14.4. By now I assume you can do formula mass calculations and read formula without any trouble, so ALL the detail of such calculations is NOT shown, just the bare essentials! Ammonium sulfate, (NH4)2SO4, is an important ingredient in many artificial fertilisers supplying to plants the essential mineral elements of nitrogen and sulfur. (a) Calculate the percentage of nitrogen and the percentage of sulfur in ammonium sulfate. formula mass of ammonium sulfate = (2 x 18) + 32 + 64 = 132. (b) Calculate the percentage of sulfate ion in ammonium sulfate. To calculate the percentage of a 'part' of a compound, you just use the formula mass of that 'part! Note: If the question refers to the sulfate ion itself, SO42-, its just the same % mass calculation! Calculate the percentage water of crystallisation in magnesium sulfate crystals, MgSO4.7H2O, known as Epsom salt. On analysis of an impure sample of rock salt, it was found to contain by mass 57.5% of chlorine as chloride ion. (a) Calculate the percentage purity of the salt. therefore you need to scale up from the % mass of chloride ion to the % mass of sodium chloride. (b) What assumption have you made in this calculation to make this a valid calculation? You have assumed that non of the impurities contain the sodium or chloride ion. There may be other sodium or chloride salts in the rock salt mixture. A mixture of sand and a compound based on iron(II) sulfate (*), FeSO4. is used to treat grass e.g. lawns and bowling greens to promote plant growth and kill moss. What percentage by mass of iron(II) sulfate is required in the mixture to give 15% by mass of iron(II) ions (Fe2+)? You need to scale up from the mass of iron ions to the mass of the compound FeSO4. (NH4)2Fe(SO4)2.6H2O, old name ferrous ammonium sulphate, its a double salt, but I've just based the calculation on the iron(II) sulfate part. A baking powder mixture contains sodium hydrogencarbonate, NaHCO3. To get sufficient rising action from the carbon dioxide gas (CO2) formed in baking, it should contain a minimum of 50% carbonate ion (CO32-). Calculate the minimum percentage of sodium hydrogen carbonate that should be in the mixture. You need to scale up from the formula masses of the carbonate ion and that of sodium hydrogen carbonate. formula mass sodium hydrogencarbonate = 23 + 1 + 60 = 84. In an experiment 6.0 g of metal M was burned in a crucible, by heating in air, until there was no more gain in weight. Apart from the mass of the crucible, the final mass of the residue was 10.0 g. The oxide O formed was an essential ingredient in a ceramic pigment mixture P for glazing pottery. (a) What % of the oxide O is the metal M.
(b) The mixture P must contain 25% by mass of the metal M.
What mass of the oxide O is needed to make 12 g of the mixture P? You now have to scale up to the mass of the oxide O needed which contains 60% of M.
Scaling up gives 3.0 x 100/60 = 5.0 g of oxide M is needed.